Boardmasters has named yet another wave of top quality acts for 2017, with the likes of liquid drum & bass don, Netsky, and US veteran Armand Van Helden topping the additions. Other new artists include hip-hop pioneer DJ Shadow and Bristol duo Icarus, who join the likes of Stormzy, Andy C, Patrick Topping, Solardo, Hannah Wants and Hot Since 82 on the jam-packed line-up. Since its humble start back in 1981, Boardmasters has become one of UK's most popular events, welcoming over 150,000 last year. Taking over Fistral Beach and Watergate Bay in Cornwall from Wednesday 9th through Sunday 13th August, the festival also offers surf competitions, skating and BMX events and health and well-being workshops, plus the option to stay in the Campsite Village or upgrade to a more private VIP experience. 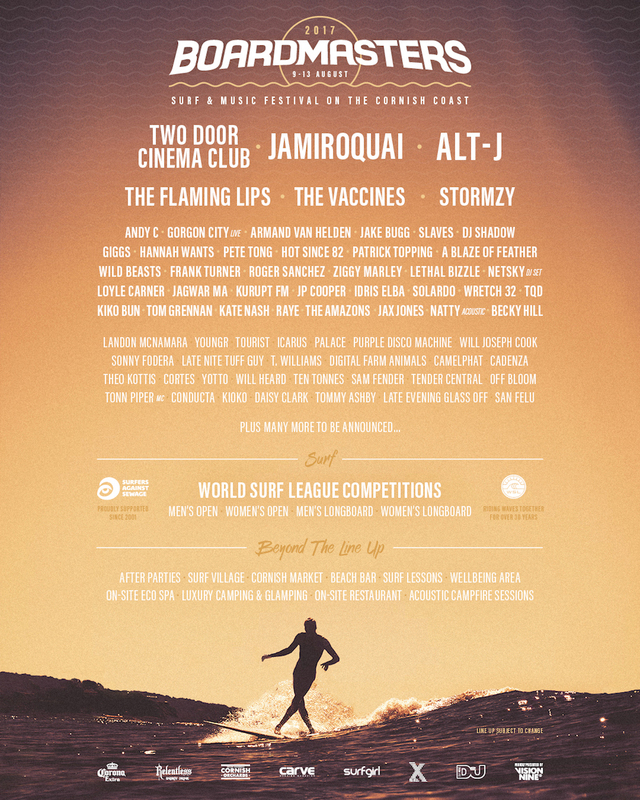 For tickets head here, check out the full line-up below and follow Boardmasters on Facebook, Twitter and Instagram for all the latest.